Is the PM’s trust deficit already too big to repay? A newspaper poll rates Tony Abbott as more incompetent and just as untrustworthy as Julia Gillard. Is he wondering why? Tony Abbott and his treasurer clearly believe the government’s problem is not their policies but an uncomprehending public. Take Joe Hockey talking about the PM’s signature paid parental leave policy (PPL). That was on Monday, the day after the prime minister flagged the ‘signature’ policy was facing a makeover. And when you have a closer listen to what Mr Abbott was actually foreshadowing it was scarcely a rethink, let alone a major one. Again, it was ‘trust’, rather than the baby, that was being thrown out with the bathwater. Trust in the sense that the impression he was trying to create and the reality were yet again in parallel universes. Consider this statement: “We will still have parental leave based on a woman’s real wage. It will still include super. It will still be funded by the 3000 largest companies in Australia.” This was the PM at his ‘roll back’ announcement on Sunday. Well, they have one already – the less generous one legislated by the Labor minority government that runs for 18 weeks at the minimum wage. He came closer to a John Howard-like ‘mea culpa’ when he said he would reverse the budget’s huge cuts to childcare. Labor was quick to point out that the PM was trying to repair the political damage done to the government when it pulled out a billion dollars of funding. The fact is the team that saved the nation by scrapping the carbon tax on 500 companies is still whacking a 1.5 per cent tax on six times as many to pay for the PPL. And it isn’t backing off. In a messy manoeuvre, the prime minister has left everyone guessing about how wealthy a woman has to be before she is cut out of the largesse. Already eligibility has been cut to $100,000 from $150,000. The speculation is it could drop as low as $80,000. Whatever the amount it’s the taxpayer footing the bill for a work entitlement employers would be normally expected to pay, and many already are. The latest Fairfax Ipsos poll shows just how much trouble. Voters rate Abbott being as incompetent and untrustworthy as former Labor PM Julia Gillard at her lowest point. When David Koch on Sunrise put these findings to him, the prime minister seemed to be blaming the electorate for being hoodwinked by his opponents. He didn’t nominate which promises he hasn’t broken but on the ABC he excused the $7 Medicare co-payment shock as something that “certainly wasn’t ruled out before the election”. But it was ruled out before the budget back in February ahead of the Griffith by-election. He was asked if he could guarantee there wouldn’t be a Medicare co-payment. His response? 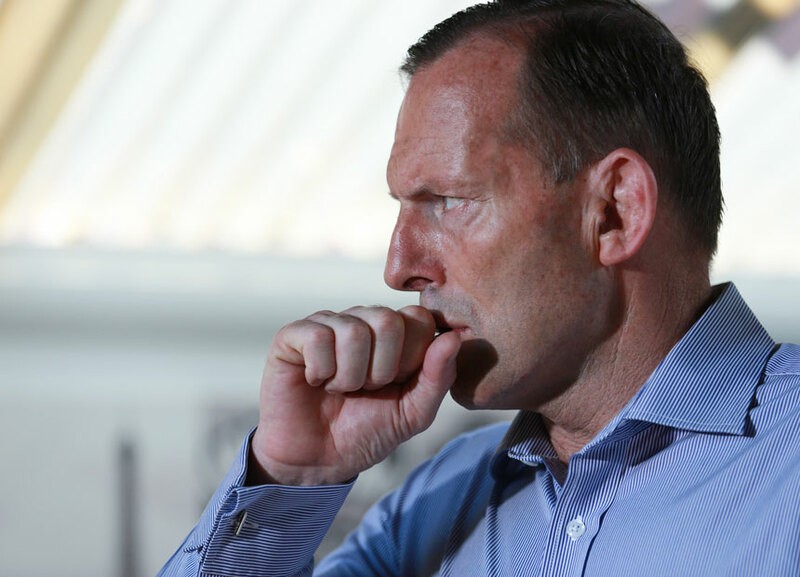 It may take more than a beach holiday to help Abbott find his old mojo and a way to restore his government’s credibility.